ICE Sports Betting on November 28. It will be a very special day for Sirplay’s history. Sirplay will approach officially for the very first time in the United States of America for a Convention. ICE Sports Betting USA will be a great opportunity for Sports Betting to showcase in the States. What will be the centerpiece of Sirplay’s presence at ICE United States of America is pretty clear. A New Software will be officially introduced. The new Software, R-PLAY, and it will bring Sirplay to a whole new level. R-PLAY is simply a leap in the future. The introduction of new features from feedback and years of experience that will make the life of every operator easier. Every limit from the old Sports Betting Solutions software have been overcome and new implementation represent evolution. What is so special about R-PLAY? Well, some players believe to have the perfect solution for the business and this is often true. The problem is that the degree of adaptability of these platforms is low. R-PLAY instead offers an excellent “in-balance” between Tailor-Made and the efficient standardization. The platform load number has increased. Therefore, this means that online users have a much higher number of users than previously did Sports Betting Solutions. 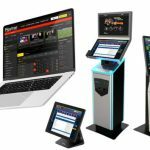 Betting Solutions in the United States of America will be different. The possibility of having a back office as advanced as what you had on Sports Betting Solutions, combined a Welcome Bonus, possibility of coupons, multiple boxes allow new features to be discovered for what concerns the new platform. We can safely say that R-PLAY has what it takes to operate in all countries in flexibility and in a competitive manner with all other software currently in circulation, and not Sirplay cannot wait to show off the potential of the new software at the fair. The strengths of the new platform are improvements made under the point of view of the back end, with custom commission profiles for the development, not only of Sport Betting Odds but of commissions for all other types of games. All this allowed to create a level of horizontal and vertical flexibility never seen in a Sirplay Software. America is a burden and an honor. Sirplay has proven to be able to create and innovate. Above all, the territory is the most complex in the world. The United States of America are famous in the world – among the many things – for the Fabolous Las Vegas, for the Mandalay Bay, the Ceasar’s Palace, the Atlantic City and the dream experiences provide the same as back to the States. The most legendary poker championships have been here, like the World Series of Poker. It is not the same as anywhere alse. And Sirplay’s purpose is to ncreasing the penetration rate of the market. We know that at DFS of a certain level players will be able to access such games as “Guaranteed prize pools”, “Head-to-Head” or “Groups”. Jackpots for all registered users. In conclusion, We want to have them all.In short, partners who share the spirit of excellence in the game are perfect partners for Sirplay. As Sirplay has partnered specifically for the American market, in order to offer a fair product to the market. Sirplay is looking for new partners who want marry the cause. Sirplay believes in the partnerships and power they have in an era where collaboration is worth much more than competition. Because of this, Gaming in 2018 is not like Gaming in 2017. A year in Gaming is equivalent to eras. And this rule stays for Sports Betting. Above all, USA finally came in. To learn more about the Sirplay world, you can visit the Facebook page or YouTube Channel to get a deeper understanding of the Sirplay world. For each provider interested to know details about our vision of the American market, it is possible to trace Sirplay to [email protected] in order to know all the news about the Sirplay world in the business side.